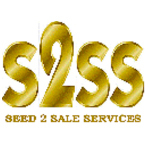 Seed to Sale Services, Inc. operates upon the principle of bringing the newest, most effective agricultural technology and products to the legal hemp and marijuana cultivation, manufacturing and distribution markets. S2SS works with cultivators, manufacturers and distributors, throughout the entire process from germination of seed to bringing the finished products to market. 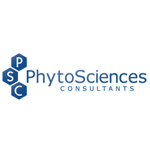 The products and services provided by S2SS includes state of the are nutrient technology from rare earth mineral composition with ionic Nano technology to Greenwave frequency technology delivery systems; next generation organic soil fertilization; Aquaponic technology and systems; Electrochemical Technology salt free water processing; soil, hydroponic and Aquaponic grow consulting; retail dispensary operational consulting; as well as merchant account solutions for retail outlets. Utilizing the newest cutting edge, industry changing technologies, Seed 2 Sale Services will help bring the new and rapidly expanding industry of legal hemp and marijuana cultivation, manufacturing and distribution to a level of production, quality and efficiency not currently experienced in the market.